Fans of the free-reed/fiddle/bass sound of Finnish bands like Troka and JPP are defeinately going to find a kindred spirit in this Norwegian ensemble. An equally high level of musicianship is evident, and a similar sense of curiosity and adventure prevail. Tight arrangements, spirited playing and a fine support from musicians Heidi Skejerve and Erlend Skomsvoll on vocals and harmonium make this record a must have for those that like traditionals root with a contemporary flair. 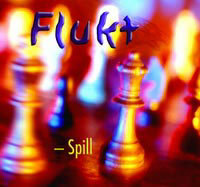 The Norwegian group ”FLUKT” (soaring) lends Music wings! The players literally radiate true musicianship, an energetic intensity and a spirit of sorts, which gives the listener a hard time sitting still. Their Music resembles a good game of chess, where elements of surprise and unconventional imaginative abilities beat the conventional and sturdy. The inspirational sources are many; Scandinavian as well as Gaelic folk Music, religious tunes and specially written compositions form a vital and living totality with a strong and personal identity. Enjoy this soaring musical experience and fly over familiar and unknown lands! Born in 1975 in Orkdal in Sør-Trøndelag County, Central Norway. He started playing fiddle very early and attended his first folk music competition at the age of 8. In 1999 he qualified to the highest level in national competitions. Sturla has an intermediate music degree from the University of Trondheim. His artist CV shows both national and international performances. He has represented Norway in Paris and at the Euromusica Festival in Hungary. Sturla is recognized as a versatile and open-minded musician, which has led to close co-operation with jazz-, classical- and rock musicians in addition to the basis of folk music and dance music constellations. Sturla teaches at the Department of Musicology at the University of Trondheim besides working as a freelance musician. Born in 1972 in Tjølling in Vestfold County, Southern Norway. He is educated at Barratt Due Institute of Music with the highest possible scores on his main instrument accordion and in the Chamber Music final exam. Øivind plays a variety of music styles and has worked with a number of well-known musicians and composers. In his carrier as a concert soloist he has given concerts with Trondheim and Kristiansand Symphony Orchestras and The Royal Norwegian Navy Band. Øivind has won prestigious international music contests and he has given concerts in many countries. He also has a background from playing old time music and dance music. He is frequently used as a studio and theater musician. Born in 1977 in Oslo. He grew up in Frei in Møre og Romsdal County, Western Norway. He is educated at the jazz section at Trondheim Conservatory of Music. In addition, he has music as his intermediate subject from the University of Oslo. Sondre is one of the most sought-after bass players in Norway and the list of performances and collaborating partners is long and various. He has released a CD with the group ”Come Shine” and ”Jon Pål Inderberg and the Zetting”. In 2001 he played with Pat Metheny in Trondheim Jazz Orchestra at the Jazz Festival in Molde. He has attended most of the major jazz festivals in Norway. Besides he has had numerous jobs at theaters, studio recordings and given concerts with many groups and musicians.